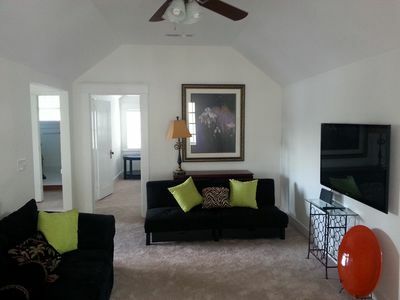 Quaint 2BR Condo in Downtown Nashville! 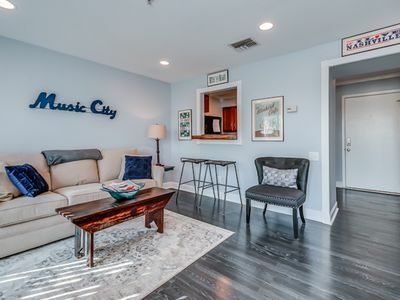 Immerse yourself in the world-class music scene of Nashville from this 2-bedroom, 1.5-bathroom vacation rental condo! 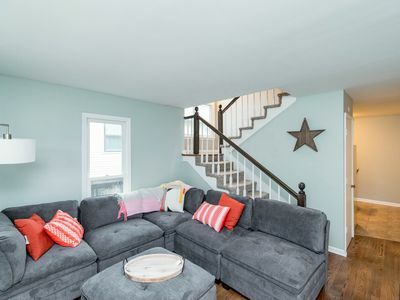 With accommodations for 4 and a prime location only 10 minutes from downtown, this property is the perfect homebase for those looking to explore the city without worrying about the noise at night. 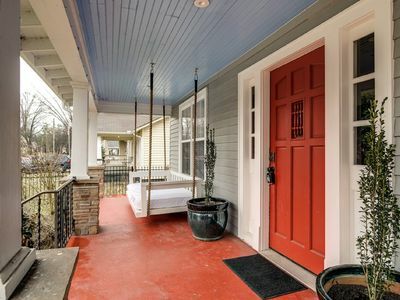 Mere steps from your front door lies local favorites like the Belcourt Theatre and Provence, while a short trolley ride takes you to Music Row for legendary venues and historic museums! 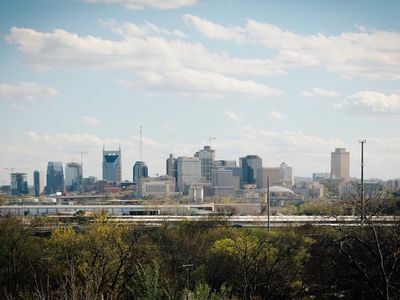 A pleasant drive along the streets of Hillsboro Village brings you to your home-away-from-home in Nashville. Leave your car behind in one of the 2 parking spaces to explore the nearby eateries, such as Provence Breads & Cafe and Fido, or head inside for a homemade meal. 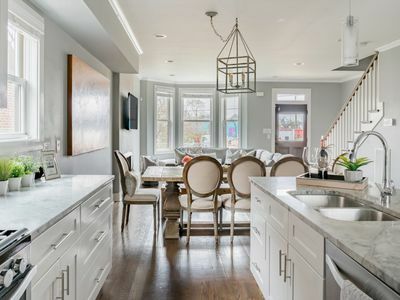 The fully equipped kitchen has everything you need to prepare a hearty lunch before an action-packed afternoon wandering Music Row. Cook up all your favorites using the stainless steel appliances and serve your culinary creation at the 4-person high-top table. 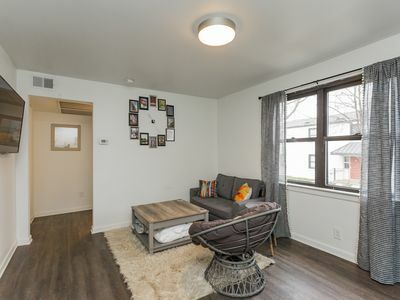 When you need a break from the bustling city, spend some downtime in the cozy living area, furnished with a plush sectional sofa, flat-screen Smart/cable TV and music-inspired accents. Return home from a show at the Grand Ole Opry or Ryman Auditorium to freshen up in the Jack-and-Jill style bathroom. Come bedtime, settle into either one of the 2 bedrooms boasting cloud-like king beds and private mirrored vanities. 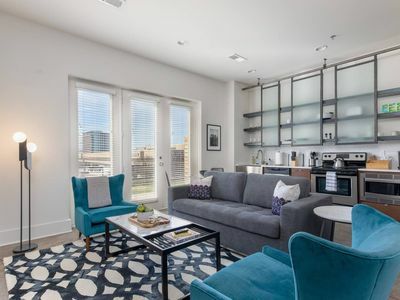 Experience the city lifestyle with the comfort and privacy of home from this ideally situated Nashville condo! Abundant shops, restaurants and entertainment venues lie just steps from your front door. Pick up a pastry from Provence Breads & Cafe, find your favorite comfort food at Fido and see who’s performing at the Belcourt Theatre. If you don’t feel like walking, rent a bike from the shop just one block down the road! 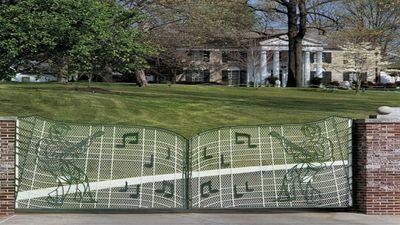 Put yourself in the center of all the action with a trip up to Music Row, the heart of Nashville’s entertainment industry. Enjoy a cold brew and live performance at Robert’s Western World, tour the Country Music Hall of Fame and see what shows are happening at Tootsie’s Orchid Lounge. 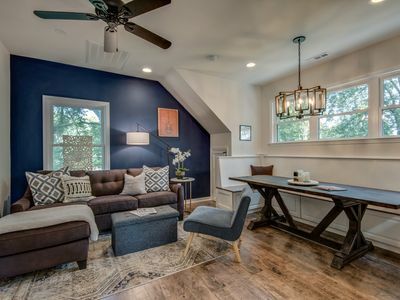 Spend an afternoon closer to home to sip coffee at one of the cozy cafes in Hillsboro Village or visit the beautiful campus of Vanderbilt University. 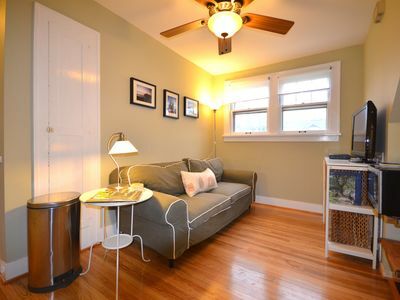 Experience the musical magic of Nashville from this charming 2-bedroom, 2-bathroom vacation rental condo that sleeps 4! 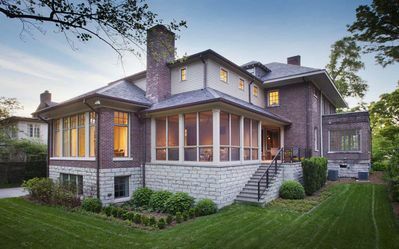 Only 10 minutes from downtown, this property offers a peaceful respite from the hustle and bustle, while being close enough for you to embrace the city lifestyle to its fullest. 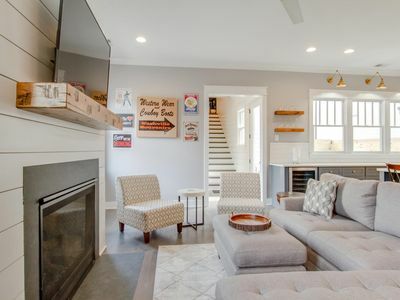 Enjoy the convenience of walking to Belcourt Theatre, Provence, Fido and other local favorites, or take a short Uber or trolley ride over to Music Row, the Parthenon and Country Music Hall of Fame! Cruise along the streets of downtown Nashville to arrive at your cozy condo in the heart of Hillsboro Village. Step inside to discover a trendy living space, outfitted with simple Scandinavian-style furnishings and colorful accent pieces for a homey-yet-urban feel. Take a short stroll down the street to try a sweet treat at Jeni’s Splendid Ice Creams or indulge in some comfort food at Fido. 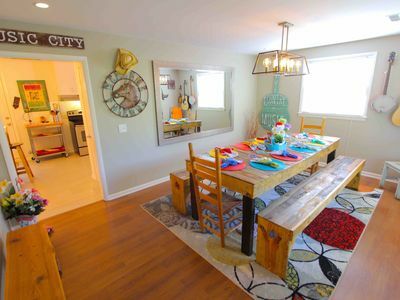 If you’d prefer to dine at home, utilize the kitchen for a homemade meal. 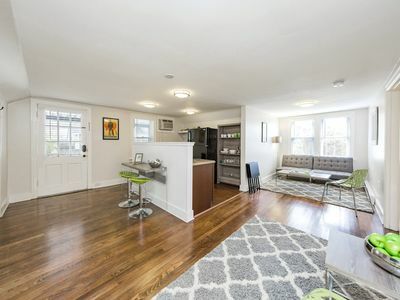 Fully equipped, the kitchen offers stainless steel appliances and a Keurig coffee maker. Share a meal with your loved ones at the high-top table set for 4 and, afterwards, enjoy some downtime in the well-appointed living space. Make yourself comfortable on the plush sectional sofa while you stream your favorite show on the flat-screen Smart/cable TV. With 2 private bedrooms complete with full en-suite bathrooms, everyone has their own space to get ready for a night out on the town. Primp and pamper at either one of the 2 mirrored vanities before taking the trolley into downtown for a night of craft cocktails and country music! 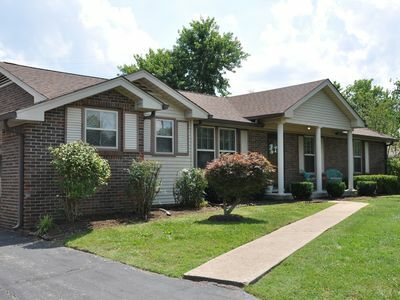 All of Nashville will be within arms reach when you stay at this centrally located condo! 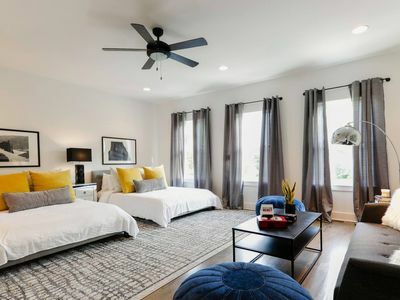 Only a stone’s throw from your front door lies a plethora of shopping, dining and entertainment options, including Provence Breads & Cafe, Jeni’s Splendid Ice Creams, Fidos and the Belcourt Theatre. Go for a walk to see all of your options or rent a bike a block away to explore with a set of wheels! To see what else the Music City has in store, hop on the local trolley for a ride into downtown. Discover the city’s musical heritage with a journey down Music Row, pay homage to the legends at the Country Music Hall of Fame and get tickets for a show at the Ryman Auditorium. 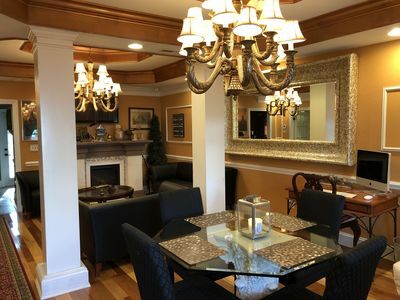 When you need a break from all the action, take a scenic stroll along the sprawling Vanderbilt University campus or spend the afternoon at a cozy cafe in the surrounding Hillsboro Village. 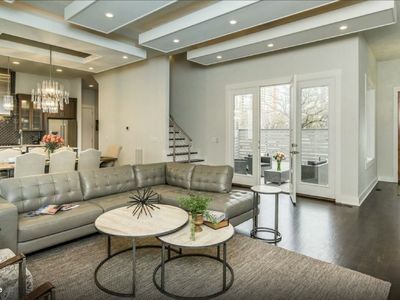 NEW Luxury Downtown Home w/ HUGE Rooftop! 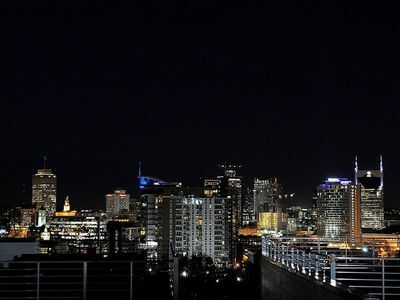 Skyline View! 1.5m to Broadway! Downtown Nashville. Cute & Cozy, & Right In The Center Of Everything! 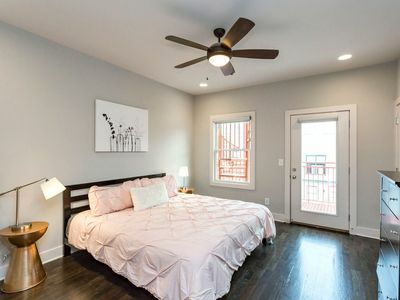 Super trendy East Nashville Suite DOWNTOWN!! Tour the country music hall of fame!